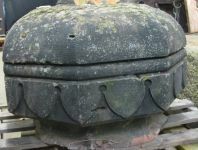 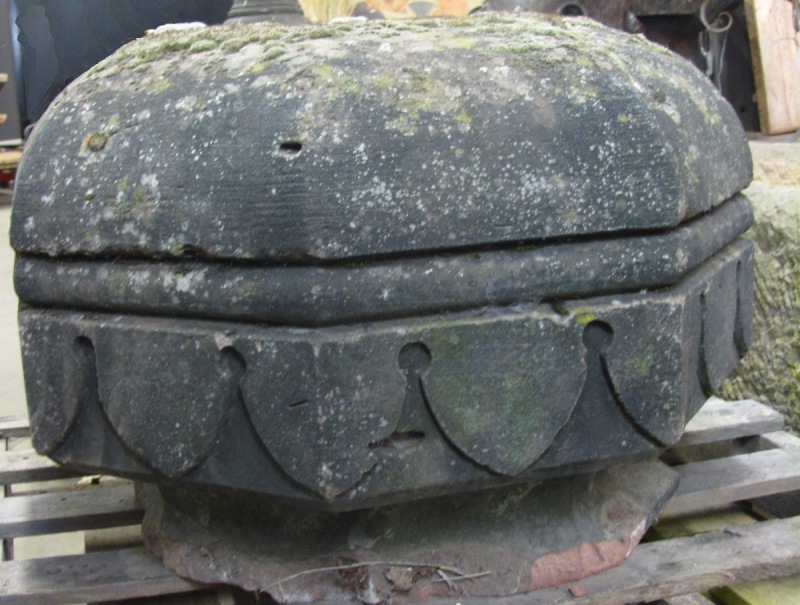 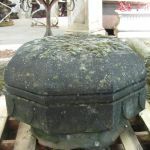 Pair of unusually large 19th century English carved stone gate pier caps of octagonal form. 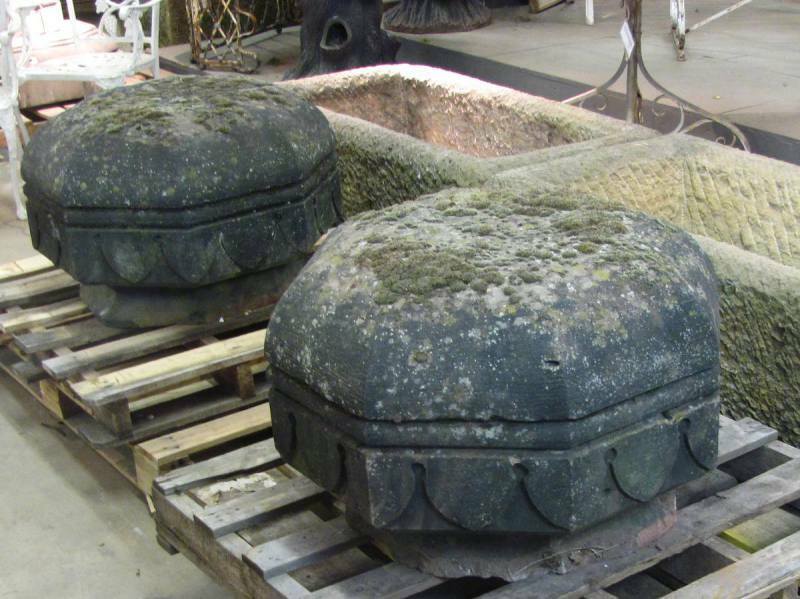 These would adapt well to use as large garden seats. 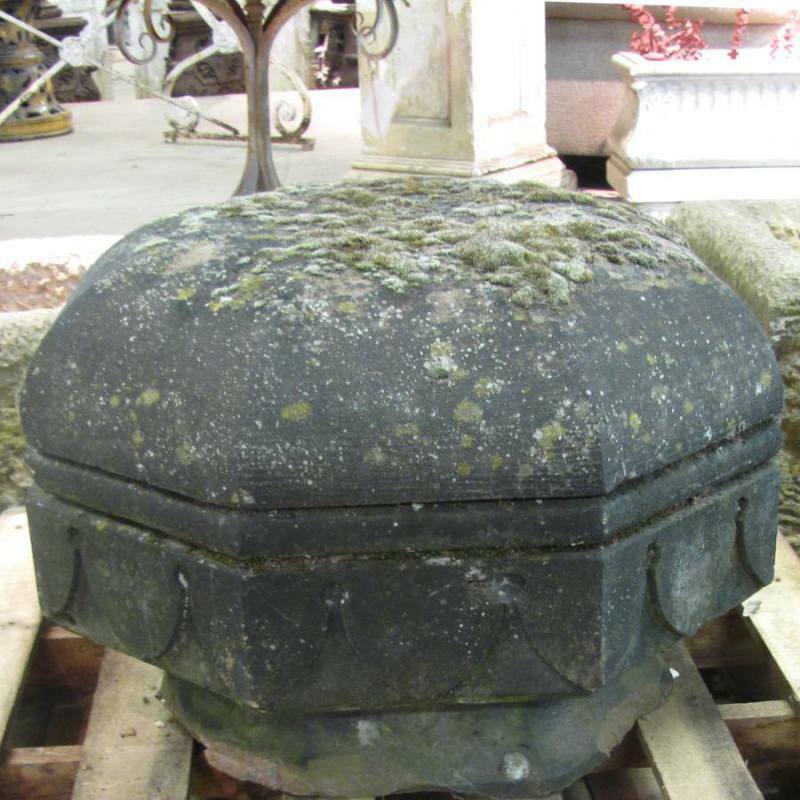 Measurements: Width: 25" Height: 17"